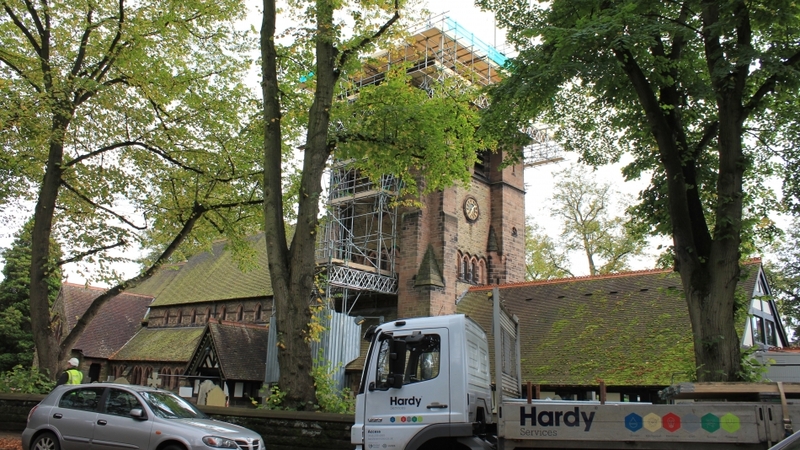 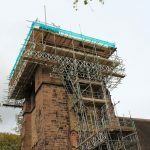 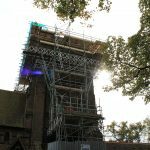 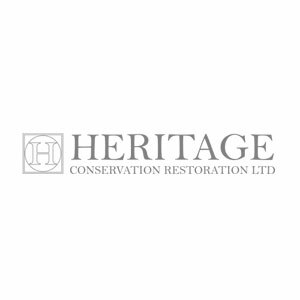 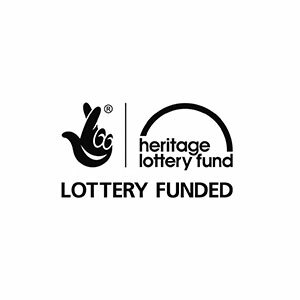 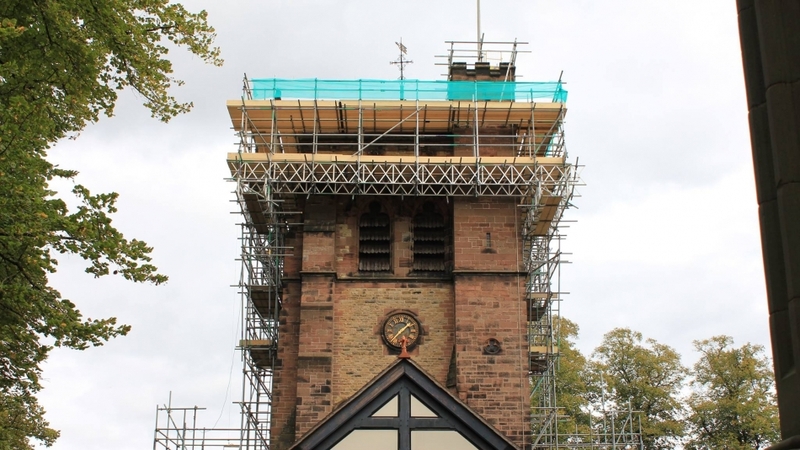 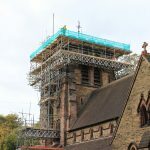 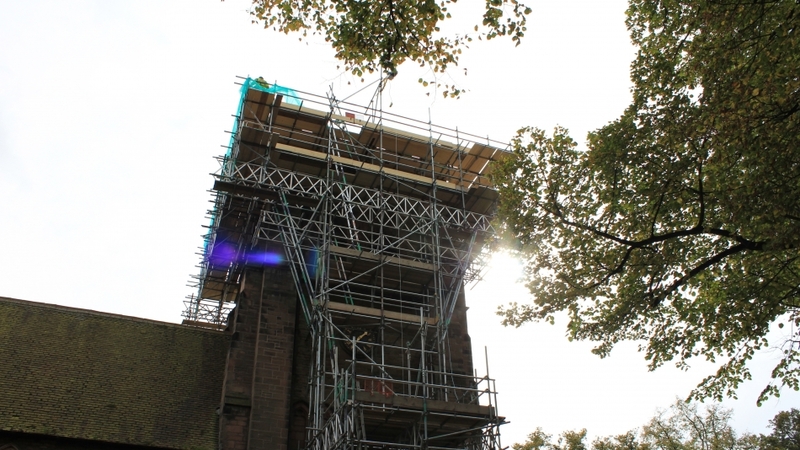 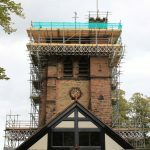 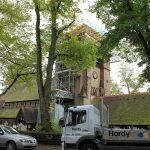 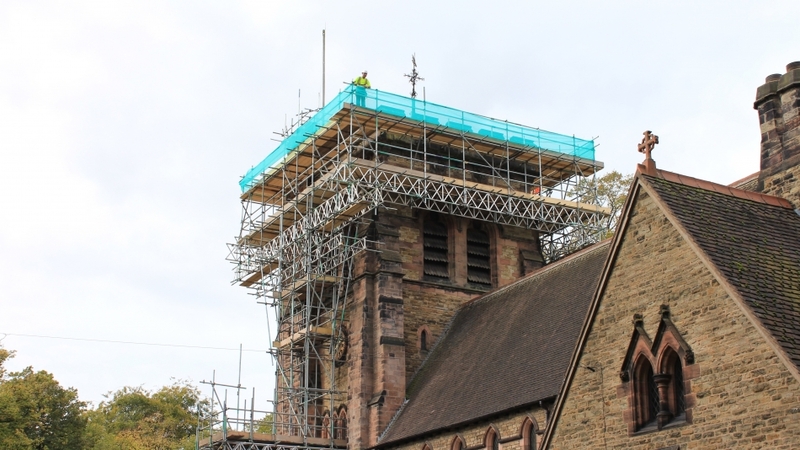 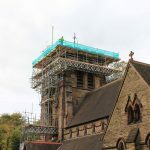 Heritage Scaffolding – St Johns Church, Hartford. 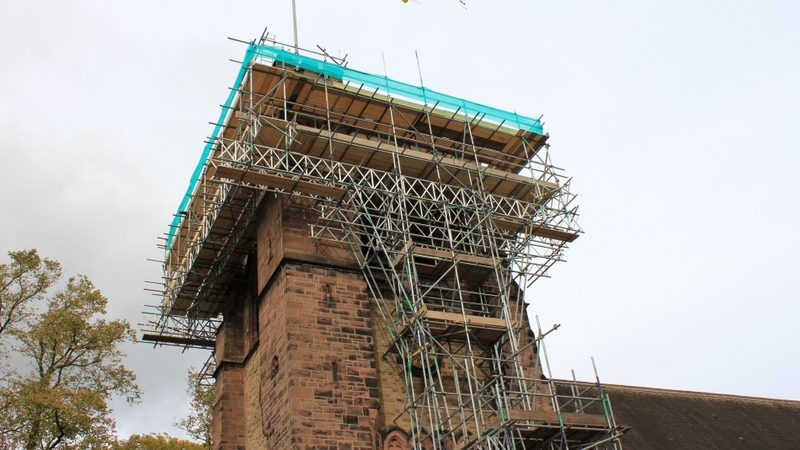 Access was required to above the bell chamber windows, parapet and roof of the tower., but the tower was surrounded on all four sides by roofs. 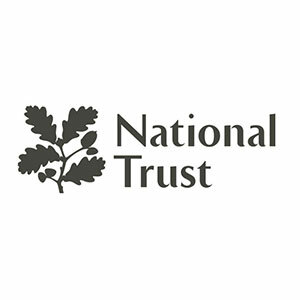 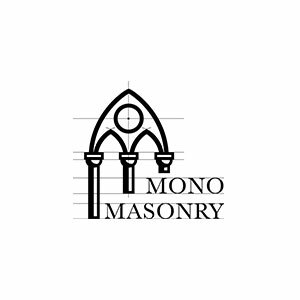 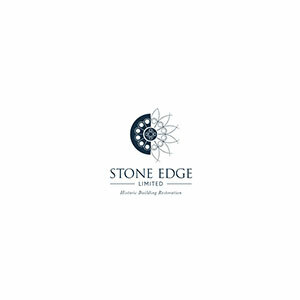 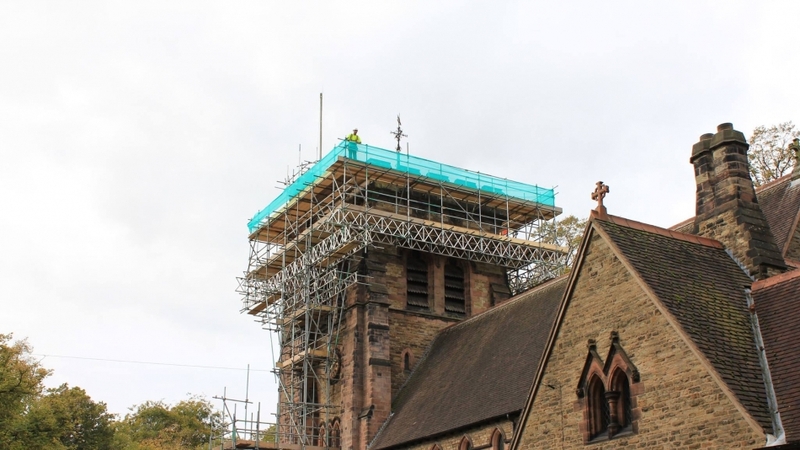 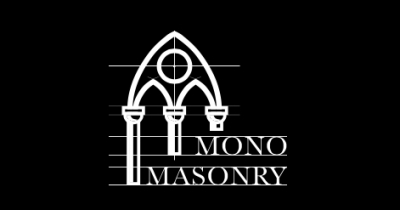 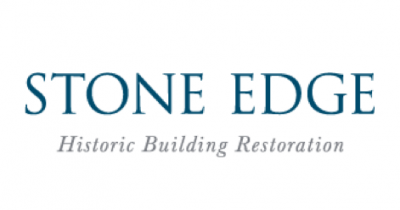 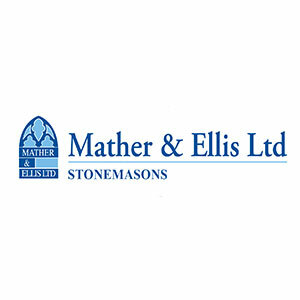 We advised on a scheme that involved fixing beams to the walls of the church at low level, meaning we could span 2 of the roofs, then a tower was erected from this point and additional beams used at high level to complete the lift and prevent any weight baring on the church roof, and fragile Rosemary tiles that cover it.